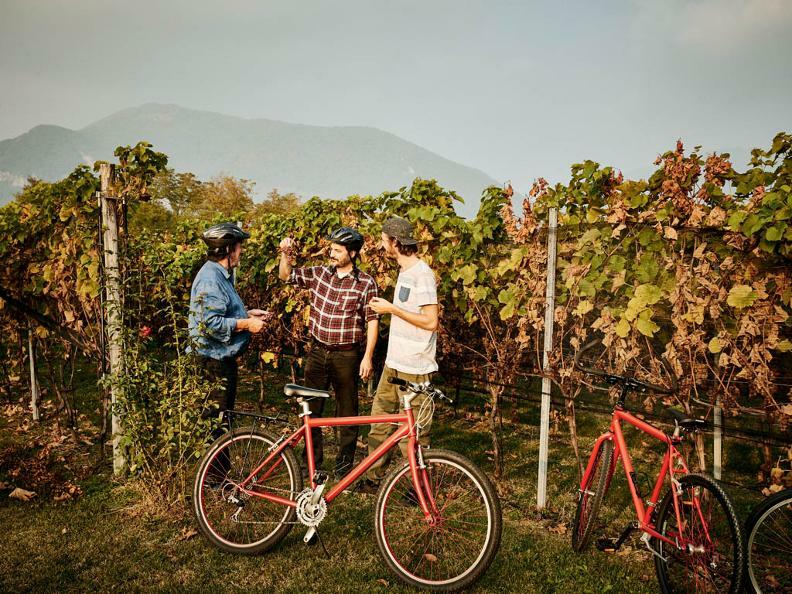 Cycling in Mendrisiotto to discover wine. We suggest you to discover the region of Ticino with the most vineyards: the Mendrisiotto! The starting point of your experience is located by the seat of Mendrisiottoterroir in Balerna. Here you are going to meet our guide who’s going to accompany you during the entire trip. 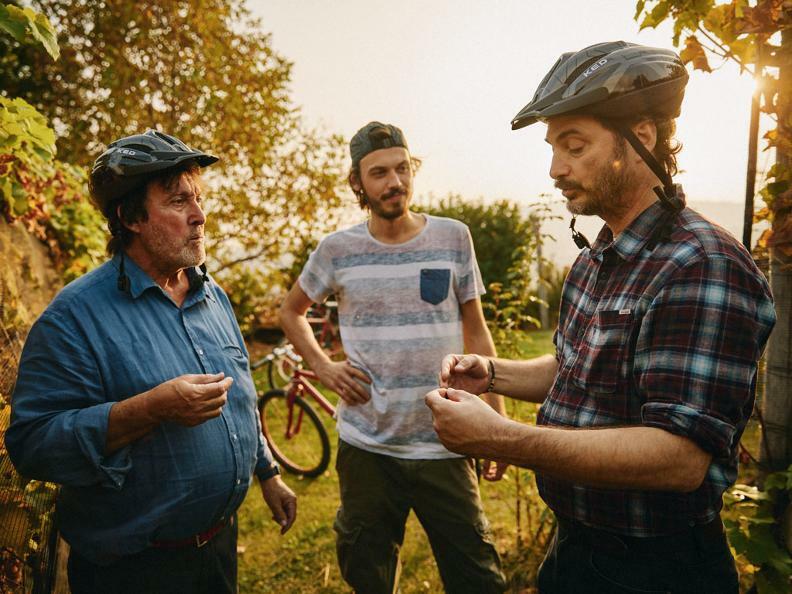 Moreover, you are going to receive from him give a bike and a helmet. Ready, Start, Go! 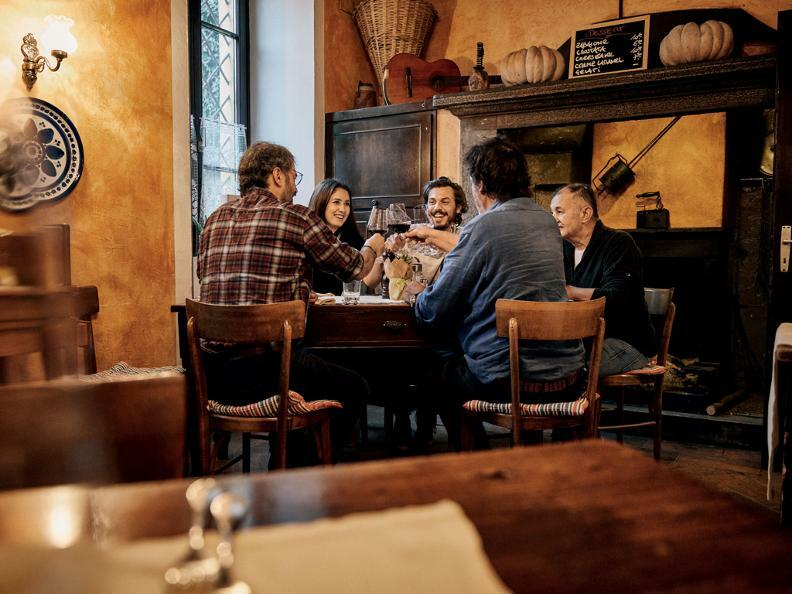 Your first stop includes a visit to a traditional winery in the region and wants to be an opportunity to know the wine-making process. 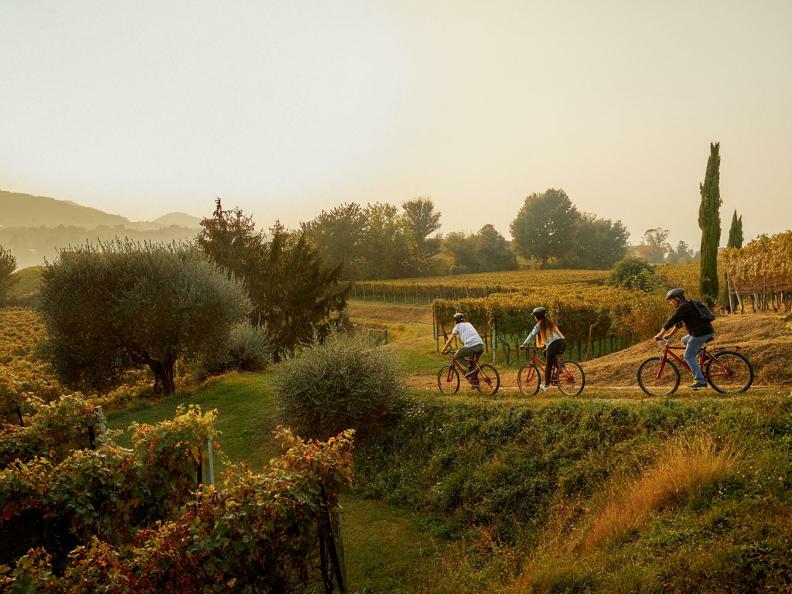 Back on your bike, you continue pedaling between the vineyards of Mendrisiotto, a region that’s also often called Tuscany of Switzerland. Are you thirsty? Our guide organizes for you the tasting of an excellent Merlot wine in the middle of a vineyard. Sheltered from the sun thanks to a beautiful pergola and with a breathtaking overview of the whole Mendrisiotto, you learn to recognize the smell and the taste of a high-quality glass of wine! After the stop, back on the saddle, following the guide that leads you around some vineyards, you reach again the starting point of your excursion. The great final is waiting for you: a tasting of different regional wines served with a rich aperitif offering many products of the region! How to get there: Borgovecchio SA is easily accessible by train. Balerna Train Station is only 300 meters away. Otherwise you can reach this place by car, there is a big space to park. In case of bad weather the tour will be unfortunately cancelled. You will be notified the day before and refunded as soon as possible.